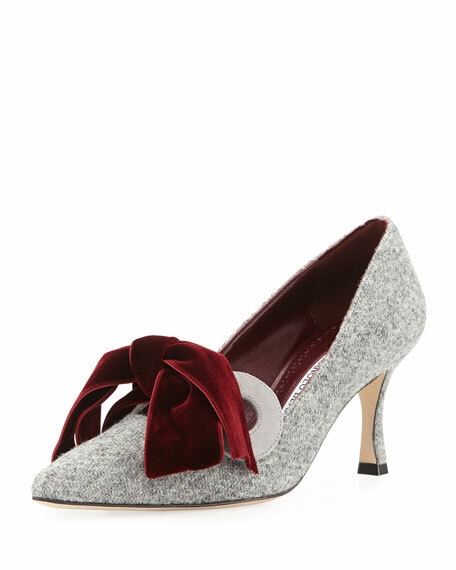 Manolo Blahnik wool tweed pump. 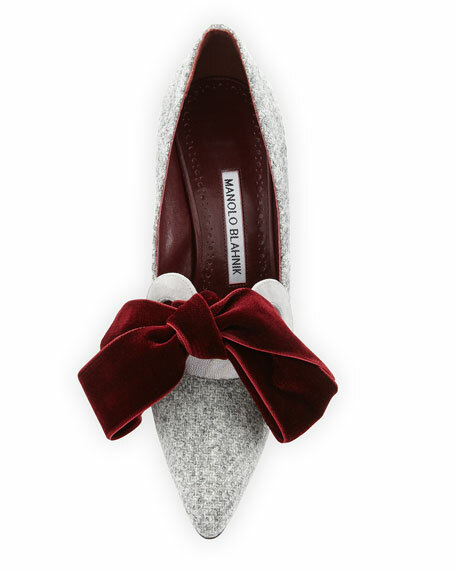 Velvet bow and circle detail at vamp. "Serba" is made in Italy. For in-store inquiries, use sku #2271909.